Sampler Anthology 909 is an extensive sound library that brings the sound of old hardware samplers to the most popular drum machine of all time: the Roland TR909. In this collection we have recorded the drums with some of the most legendary samplers - and each sampler bring a unique coloration to the sound. The library is built on ten different drum kits, that was sampled with ten different samplers. To really capture the essence of each sampler, each kit and sampler were sampled in up to nine variations - with different sample rates and input volume to recreate the sound of old converters crunching up the sound. Requirements: anything that handles WAV format. Formats: WAV, Kontakt 4, Akai MPC, Fxpansion Geist, Maschine. 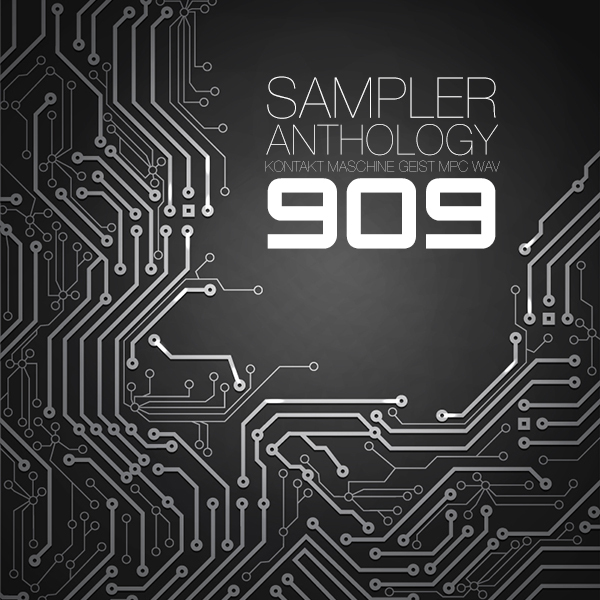 IMPORTANT - Sampler Anthology 909 is an audio library with support for Akai MPC, WAV, Kontakt, Maschine and Geist. Please check out the FAQ before buying.